3rd generation autoflowering. Hybrid hybrid resulting from the cross between a strain of automatic Critical Mass from Sweet Seeds R+D+I Department, selected for its flowering speed and pleasant and intense aroma, and a strain selected from our Speed Devil #2 Auto (SWS25) with very fast flowering. Autoflowering and feminised variety of high size, in response to the demand of our customers who requested larger size autoflowering. 3rd generation autoflowering. First evolution of the Big Devil Auto genetics.Autoflowering and feminised variety of high size, in response to the demand of our customers who requested larger size autoflowering we have selected this genetics that reaches a height of 1 to 1.5 meters. In response to requests from our friends and customers, we present the feminized and photodependent version of our appreciated Big Devil Auto. 3rd generation autoflowering, hybrid hybrid resulting from the crossing of our Big Devil #2 Auto (SWS20) with an autoflowering Jack Herer from Sweet Seeds R+D+I Department. One of the hairy and resinous monsters in Sweet Seeds catalogue. 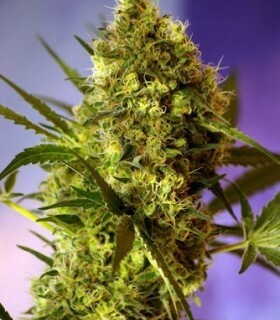 It is a variety of extraordinary aroma, potent hybrid vigour and very fast flowering. Black Cream Autoflowering variety. Hybrid hybrid resulting from the cross between our most prized variety, the original Cream Caramel, and an exotic utoflowering strain of purple flowers and Kush Pakistani ancestors. We have crossed our elite clone of Black Domina' 98 with an exceptional elite clone of Jack Herer of pleasant and intense incense Haze cathedral scent. 3rd generation autoflowering. Autoflowering version of our Black Jack. Result of the crossing of our autoflowering variety S. A. D. 2nd generation Sweet Afgani Delicious Auto with our elite clone of Jack Herer. 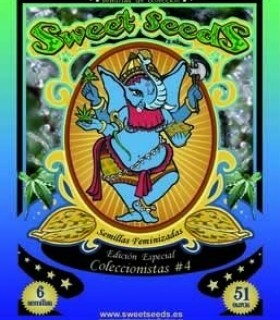 Rich version in Cannabidiol (CBD) of one of the first and most appreciated varieties of our seed bank. Black Jack CBD is the hybrid resulting from the cross between our Black Jack and a selected clone rich in CBD with ancestors of the Diesel family. Feminized and photo-dependent version, with ultra-fast flowering, of one of the first and most appreciated varieties in our catalogue, Black Jack. Bloody Skunk Auto autoflowering variety. Hybrid hybrid resulting from the cross between our Sweet Skunk Auto variety and a selected strain of the Red Poison Auto variety that gives the flowers a red character. Autoflowering 4th generation. For the development of this variety we have used the famous Amnesia Haze clone "Cordobesa". 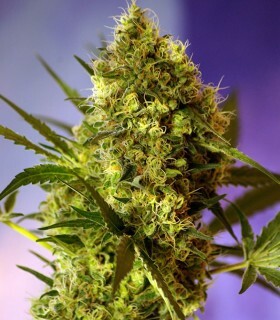 Mainly sativa genetics and very high production, adapted for indoor and outdoor cultivation. Its long flowering period of about ten weeks is more than compensated by its rapid growth and high production. Native genetics from the USA rich in Cannabidiol (CBD), the result of a cross between one of the most famous and important American varieties, Chem Dawg, and a European genetics rich in CBD from American ancestors of the Diesel family. Excellent hybridization between our Cream Caramel) and our elite clone of AK 47. The result of this crossing is a very powerful, productive and aromatic genetics. Synthetic variety resulting from the crossing of several of our best indices Blue Black x Maple Leaf Indica x White Rhino. 3rd generation autoflowering. Autoflowering version of our Cream Caramel. The result of crossing our best 2nd generation autoflowering strains with Cream Caramel. 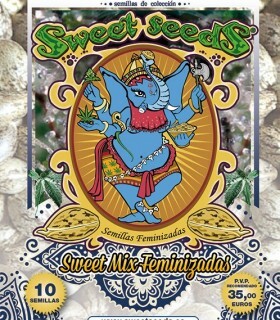 Rich version in Cannabidiol (CBD) of one of the most appreciated varieties of Sweet Seeds catalogue, our Cream Caramel. Cream Caramel CBD is the result of the cross between our Cream Caramel and a selected clone of Diesel ancestors rich in CBD. 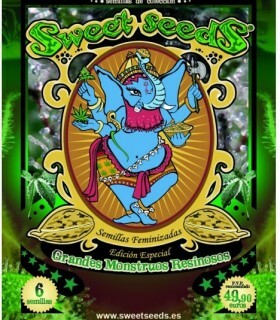 Feminized and photodependent version, with ultra-fast flowering of the most awarded variety in Sweet Seeds catalogue, the appreciated Cream Caramel. 3rd generation autoflowering. 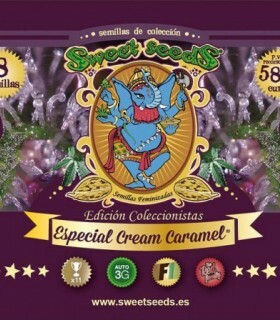 Result of the development of a very special strain of Cream Caramel Auto of very high production and with marked sweet aromas of citrus fruit type mandarin. In response to requests from our friends and customers, we present the feminized and photodependent version of our beloved Cream Mandarine Auto. 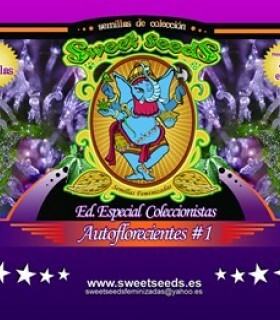 For the development of this variety we use our best selected strains of Cream Mandarine Auto. 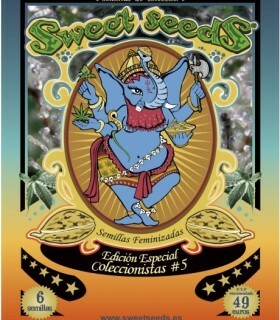 Variety developed within a program of the R+D+I Department of Sweet Seeds focused on the search for curious, exquisite and subtle sweet aromas that evoke aromatic sensations of candy store. Autoflowering 4th generation. The result of the cross between our Crystal Candy and an autoflowering variety of very similar aromatic tones, Sweet Special Auto. 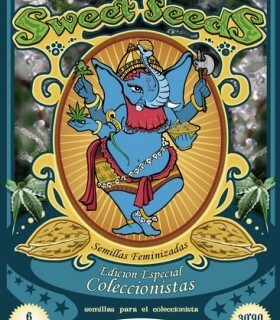 Fast flowering photoperiod-dependent version of one of the tastiest strains from the Sweet Seeds® catalog, Crystal Candy® (SWS58), awarded with the 1st Prize for the Best Indica at Spannabis Champions Cup 2017. Crystal Candy F1 Fast Version® is the resulting hybrid from the cross between our Crystal Candy® and a selected genetic line of Sweet Special Auto. Autoflowering variety. Polyhybrid resulting from the crossing of selected strains of our two varieties of purple flower Dark Devil Auto and Black Cream Auto. This variety shows from the germination a great hybrid vigour resulting from the great genetic mixture that contains. Stabilized polyhybrid resulting from the crossing of two genetics of the highest quality. Exceptional mother Flo crossed with a White Widow of intense aroma and great resin production. Hybrid resulting from the crossing between two of the most famous and powerful genetics from the USA, Gorilla Glue x Girl Scout Cookies.The specimen used for GSC is of the phenotype known as Thin Mint, a Sativa-dominated Indica-Sativa hybrid. Hybrid variety of mainly Indica genetics and very high production. 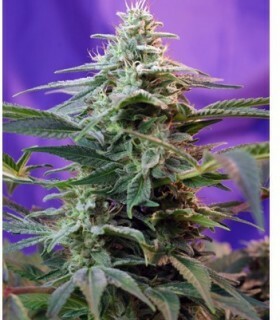 It has a very fast and vigorous growth, a flowering phase very fast and explosive, creating large buds and becoming a superproducer of flowers in very few days. 3rd generation autoflowering. Result of hybridization between a selected strain of our Big Devil #2 Auto and an elite clone of the Green Poison. 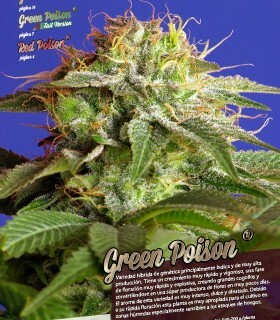 To fix the scent and taste of Green Poison, the resulting hybrid has been back-crossed twice with the original Green Poison clone. Rich version in Cannabidiol (CBD) of one of the fastest flowering and most appreciated genetics of Sweet Seeds catalogue, the Green Poison. 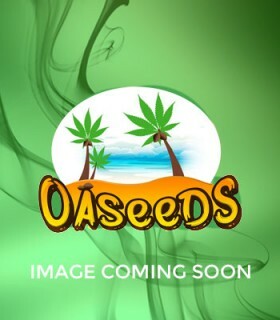 Green Poison CBD is a hybrid variety resulting from the cross between our Green Poison and a selected clone rich in CBD with ancestors of the Diesel family. The THC: CBD ratio of this variety is between 1:1 and 1:2. Feminized and photo-dependent, ultra-fast flowering version of our Green Poison. F1 variety resulting from the cross between an elite clone of our esteemed Green Poison® and a selected 3rd generation autoflowering strain of the Green Poison Auto® variety. 5th Generation autoflowering strain featuring high levels of Cannabidiol (CBD). This strain is the result of the cross between a selection of our best autoflowering strains with sweet and fruity aromas and a photoperiod-dependent clone rich in CBD. The THC:CBD ratio of this CBD-rich strain stands between 1:1 and 1:1,5. Developed from a line of NYC Diesel. Genetics of great power and production with a curious, strange and very strong aroma of exotic perfumes. 4th generation autoflowering strain. This hybrid is the result of a cross between an (Ice Cool) elite clone and a 3rd generation autoflowering genetic (Fast Bud #2 Auto). CBD-rich version of one of the best and most aromatic strains from our catalog, our beloved Ice Cool. This strain gathers two exquisite genetic lines from the Diesel family: our Ice Cool and a selected CBD-rich “elite” clone from Diesel ancestors. This variety was developed within a programme of the Sweet Seeds’ R+D Department that was focused on the search for exquisite and marvellous earthy aromas. Superhybrid result of the cross between two of the most powerful genetics of all time, Jack Herer x AK 47. 3rd generation autoflowering. Hybrid hybrid resulting from the cross between an automatic Jack Herer from Sweet Seeds®'s R&D&I Department and our elite AK 47 clone. Feminized and non-autoflowering version with an ultra fast flowering of one of the most potent strains of our catalogue. Autoflowering 4th generation. Autoflowering version of one of the most famous genetics of the US West Coast, created around 1994 in Sunset Beach in Southern California, the Ocean Grow Kush, better known as OG Kush. Hybridization between an elite White Widow clone and our sweet S. A. D. Sweet Afgani Delicious S1. 3rd generation autoflowering. Hybrid between a selected strain of automatic White Widow from the Sweet Seeds R+D+I Department and a selected strain of the S. A. D. variety. Sweet Afgani Delicious Auto. 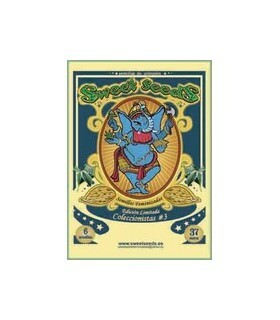 Cross between a cuttings from the United States and a Nepalese plant with spicy aromas reminiscent of coffee roasting. 3rd generation autoflowering. Autoflowering version of our variety S. A. D. Sweet Afgani Delicious S1. Autoflowering of 3rd generation. Autoflowering version of our variety S.A.D. Sweet Afgani Delicious S1 (SWS02). Result of the crossing of our best autoflowering 2nd generation strains with the S.A.D. Sweet Afgani Delicious S1. Medicinal "version of our S. A. D. Sweet Afgani Delicious S1. Variety rich in Cannabidiol (CBD), the result of the cross between our appreciated and widespread elite clone of Black Domina' 98 and a clone of the Diesel family rich in CBD. Feminized and photodependent version, with ultra-fast flowering, of one of the sweetest and most aromatic varieties in our catalogue. This genetics is a hybrid resulting from the crossing between a selected strain of SAD. Excellent hybridization between two of our best elite clones coming from USA genetics. 3rd generation autoflowering. Evolution of the SWS11 genetics (Speed Devil Auto). All plants start flowering from the fourth real pair of leaves approximately, independently of photoperiod and season of the year. Merger between two high-flight cannabic strains, Cheese x Black Jack. This genetics enhances the virtues of its ancestors by giving a new twist to the flavor of Black Jack. 3rd generation autoflowering. Hybridization between a selected strain of Fast Bud Auto and an elite Sweet Cheese clone from the Sweet Seeds R&D&I Department. Feminized and photo-dependent, ultra-fast flowering version of our Sweet Cheese strain. Hybrid variety F1, resulting from the cross between a selected elite Sweet Cheese clone and a selected 3rd generation autoflowering strain of Sweet Cheese Auto variety. 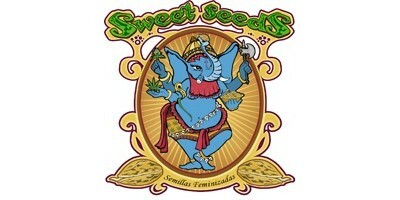 A small but excellent collection of 10 photo-dependent 100% feminized seeds at an extraordinary price! Autoflowering 5th Generation, variety with high levels of Cannabidiol (CBD) resulting from the cross between a selection of our best autoflowering 4th Generation and a photodependent clone rich in CBD. Autoflowering of 3rd generation. 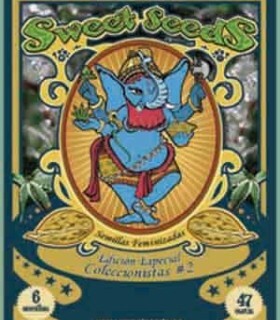 A tribute from Sweet Seeds to this classic and beloved cannabis family. Hybridization between an elite Early Skunk clone and an automatic version of Critical Mass from the R&D&I Department of Sweet Seeds. Excellent crossing of our Super Tai with an Early Skunk in which predominates a pleasant flavor and aroma Tai very penetrating and spicy Tai typical of some of these exotic Asian varieties. Autoflowering variety of high size. Autoflowering 4th generation. Hybrid hybrid resulting from the crossing between selected autoflowering strains of 3rd generation high sized autoflowering strains and an elite Trainwreck clone very famous and used in medical cannabis dispensaries in the USA. Hybridization of a genetics little known in Europe, but that in Canada and North America was very well received, the Rosetta Stone of "The Brothers Grimm" that provides fresh and original citrus tones.